Miami is a city described by many as trendy and so vibrantly now, yet it has history. It’s much more than attention-grabbing, celebrity infused, glitz and glam South Beach. This shiny, glittery, multicultural city, sandwiched between beautiful Biscayne Bay to the east and the vast Everglades on the west, was a late bloomer. It all began in the mid-1800s when a few hardy pioneers endured the unforgiving tropical wilderness, the punishing heat and frightful mosquitoes to establish settlements along the coastline limestone ridge. It was not long until visionary speculators saw this sun-drenched, tropical place with spectacular beaches as a vacation destination and since that time, its growth has been explosive and multi-cultural. Miami’s fascinating rags to riches story, past and present, is told on the 4-hour Historic Miami City Tour. 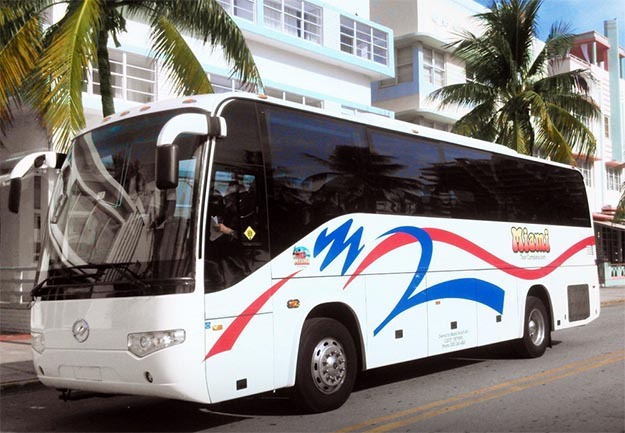 It’s a great tour aboard a comfortable, air-conditioned touring vehicle with huge viewing windows which goes through fascinating places in Miami you might never otherwise see. After being picked up at designated hotels, bus tour guests begin on South Beach, today’s glamorous jewel. Architectural beautiful, pastel Art Deco “painted ladies” lining Ocean Drive are whimsical treasures, reminders of times past. Trendy clubs, hotels, restaurants, outdoor cafes are everywhere. Storied Versace Mansion is a popular photo op. Over the causeway, mansions of the rich and famous seem to float on small islands. Downtown Miami gleams up in the distance. Brickell, its big, bold skyscrapers competing for their place in the sun, is trending as the place for millenials working downtown. The Miami sightseeing tour travels along the coastal ridge, through some of the most beautiful landscape in south Florida, past grand Vizcaya, on through tree-shaded Coconut Grove, always artsy. Along banyan-canopied Old Cutler Road, beautiful homes line each side. Winding through gracious residential areas in Coral Gables, past fabulous Biltmore Hotel and Venetian Pools, and down Miracle Mile, it’s hard to believe all this was created as a model city in 1920, carved out of flat groveland by a visionary speculator. In busy, bustling, noisy Little Havana old men play dominoes in pocket parks, small shops and bodegas line Calle Ocho, and Spanish is heard everywhere. Bold mural art and galleries in Wynwood speak to its emergence as the center of Miami’s hot art scene. This is the way to really see Miami. With audio tape narration in English, Spanish, German, French and Italian, multiple stops in colorful neighborhoods to catch the vibe and take photos, a stop at Fresh Market to grab a bite, and amazingly beautiful sights everywhere, it’s obvious why the film, TV and fashion industries continue to film here. Now, you know their secret!